Popular musicians acquire some or all of their skills and knowledge informally, outside school or university, and with little help from trained instrumental teachers. How do they go about this process? Despite the fact that popular music has recently entered formal music education, we have as yet a limited understanding of the learning practices adopted by its musicians. Nor do we know why so many popular musicians in the past turned away from music education, or how young popular musicians today are responding to it. Drawing on a series of interviews with musicians aged between fifteen and fifty, Lucy Green explores the nature of pop musicians' informal learning practices, attitudes and values, the extent to which these altered over the last forty years, and the experiences of the musicians in formal music education. 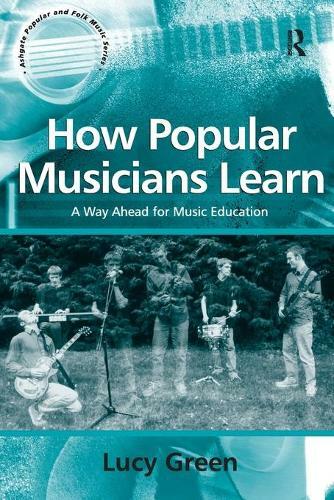 Through a comparison of the characteristics of informal pop music learning with those of more formal music education, the book offers insights into how we might re-invigorate the musical involvement of the population. Could the creation of a teaching culture that recognizes and rewards aural imitation, improvisation and experimentation, as well as commitment and passion, encourage more people to make music? Since the hardback publication of this book in 2001, the author has explored many of its themes through practical work in school classrooms. Her follow-up book, Music, Informal Learning and the School: A New Classroom Pedagogy (2008) appears in the same Ashgate series.